Ronne Mantzur has been connected to the family of 911 Restoration Chicago since the beginning of the company. During the early years of the business when it was still a carpet cleaning operation, Ronne worked closely with the founders Idan Shpizear and Peleg Lindenberg learning the trade and perfecting his craft. Ronne wanted to try out some other business avenues and for a while ran a highly successful cosmetics kiosk in a mall. This one kiosk turned into 15 of them, and this time in his life taught Ronne the best practices for running a functioning business, most importantly to always be conscious of the customer’s needs. Eventually he sold the cosmetics kiosks as a whole, and took some time to travel the world. In his journeys he explored places from Europe to Southeast Asia and everything in between. After traveling around the world for more than a year, Ronne decided it was time to plant his feet. He wanted to start a life with more of a foundation in order to raise a family and live the American Dream. That’s when he got back in touch with his roots and the family tree of 911 Restoration to open up his own branch office in Chicagoland. Ronne’s experience in the industry is key to bringing customers a quality experience and quality work too. That being said, Ronne also wants to give people the ability to avoid the need for water damage restoration services in the first place by providing some of the tricks he’s learned over the years. Around October before the total effects of winter set in, Ronne suggests homeowners close off the valve to their exterior garden hoses. This will help to ensure there is far less chance for a pipe burst. Ronne also suggests to make absolutely sure that your sewer line is clean and open at all times. 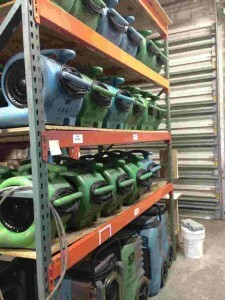 The best approach for doing this is to have it checked once every year or two by professionals like the sewage backup cleanup experts with 911 Restoration Chicago. One of Ronne’s most important tips is to make sure that you DO NOT flush diaper wipes, or bleach wipes down the toilet. They may seem like they’re going all the way down, but really they regularly get caught in the system and create backups. Finally, don’t hesitate to contact a professional for any questions you have about water damage, mold growth, sewage issues, or any other sort of disaster in your home. Asking questions can help you to avoid serious problems that can become very expensive down the road. Ronne takes all of the jobs he goes on seriously, but none more so than those that put the health of his clients at risk and many of these tips can give a homeowner the chance to avoid the worst problems that water can cause. 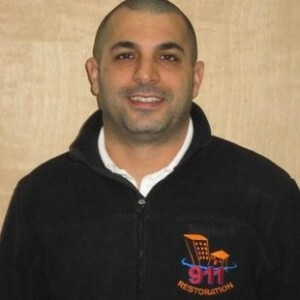 If your home is in any sort of jeopardy, give Ronne and his team with 911 Restoration Chicago a call today! With such an amplified level of experience in the industry there’s no restoration project that’s beyond Ronne’s abilities. One of the most profound examples of this fact is a job that he took on where the homeowner had been on a winter vacation at the time of the incident. This meant that no one noticed the pipe burst when it happened and the situation escalated quickly without anyone the wiser. When the property owner came back from vacation in the dead of winter to look in the basement, they found four feet of ice frozen solid from the pipe burst. This made accessing the site more difficult, in addition to the fact that it was all happening during a winter cold snap. Ronne and his crew were up to the challenge and immediately started to melt the ice while simultaneously extracting the water from the site as it melted. This took place over the course of three full days, and then another week of dry out time all during the worst that winter could throw at them. 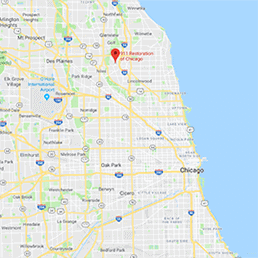 Undaunted, Ronne and the experts with 911 Restoration of Chicago made it happen and gave the property owner back their peace of mind when they needed it the most. 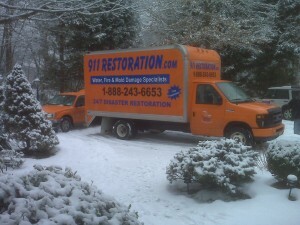 If you have 4 feet of ice from a pipe burst, or any other restoration problem at all, then contact Ronne and Mike 24/7/365 to expedite a crew to your location so they can start providing you with the best restoration work and the highest quality customer experience in the industry today!